Meaning of We are all broken. That’s how the light gets in Quote by Ernest Hemingway. Many of us are broken; in fact all of us are broken in one way or the other. And it’s okay to show. 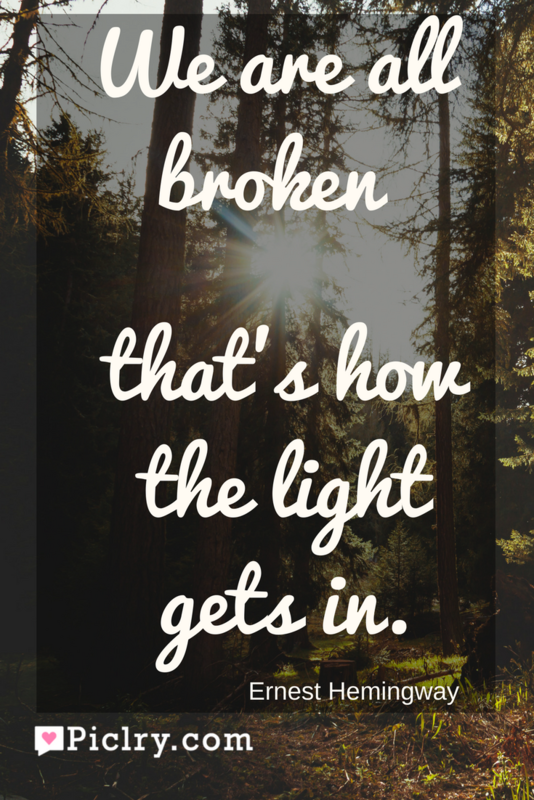 Few years ago it was a taboo to talk about being broken. But now it’s not. Because we all know and understand that each one of us goes through a tough phase in our lives that leaves us broken, shaken and scarred. And it is when we learn. Every blow teaches us how to defend ourselves, every pain teaches us how to bear it, fight it and leave it behind, every failure shows us a new way to succeed. It is in these dark hours that we can see even the tiniest bit of light clearly. In a closed dark room, all it takes is a crack for the light to sneak in and fill it, helping us see.